Be it in-store or online, competition is as keen as ever among supermarkets looking to attract shoppers, with product pricing and promotion playing a large part in the sorts of items being purchased by consumers. Of course, some products, such as bread and milk, are guaranteed to sell, and at a discounted price will fly off the shelf, while other products, such as cleaning aids, are necessary for households, however are more infrequently purchased. From the larger national retailers to smaller local operators, keeping customers coming back is, of course, key, and getting the balance right between product quality and price plays a large part in achieving this. 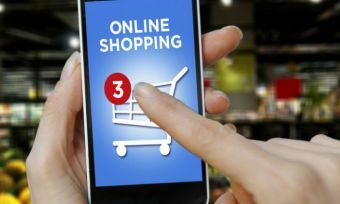 From television to online advertising (encompassing digital mediums such as websites, email and social media), retailers and manufacturers can also wield a significant impact on consumer purchasing decisions and habits. So, with this in mind, what are some of the items consistently finding their way into New Zealand shopping trolleys? It should be kept in mind that, dependent on a range of factors, purchasing patterns will vary from area to area, while different products will be more popular across different seasons and times of the year, summer through to winter. Certain goods, from foods through to beverages, will be in high demand during holiday periods, such as turkey and ham at Christmas, and hot cross buns and chocolate eggs at Easter, driving a general growth in retail spending. 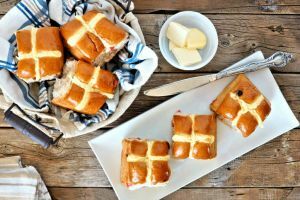 For example, ahead of Easter this year, supermarket retailer Countdown anticipated customers would consume 12.5 million individual hot cross buns and the equivalent of 23,200 chilly bins full of chocolate eggs, among which marshmallow eggs are a clear favourite. Last Christmas, among popular purchases, Countdown found that shoppers were expected to go through 34 milk tankers-worth of cream, 25 acres of cherry trees, 690,000 servings of turkey and the equivalent of 326 Mini Coopers of ham. Retailers and manufacturers are, of course, keenly aware of the impacts of seasonal variations on patterns of purchase, and tailor their promotional activity accordingly, structuring discount activity in the lead-up to holiday periods. When it comes to patterns of purchase, from the budget-conscious to bulk-buyers, retailers aim to have something for everyone at all times of the year. What’s hot all year round? In recent years, Countdown has published an annual list of the most popular items being purchased in its stores around the country, with fresh produce dominating its most recent list of top 10 products (70 per cent of the list is fruit or vegetables). 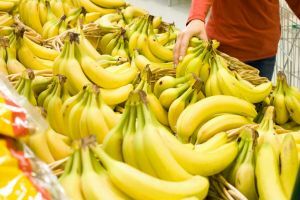 Countdown noted that bananas were “firmly in the number one spot”, with Kiwis having bought an average of 18kg of bananas per person over the course of the year. Chicken ranked as shoppers’ favourite meat, followed by beef mince and beef corned silverside, while salmon was the number one seafood, followed by New Zealand live mussels. Among Kiwi favourites, the report reveals that Snickers is the favourite chocolate bar, Select Toffee Caramel the favourite biscuit, Whittaker’s Jelly Tip the favourite limited edition chocolate, Ready Salted the favourite chip and Dairy Milk the favourite chocolate block. More and more emphasis is, of course, being placed on healthy eating, with supermarket retailers having the opportunity to play a key role in promoting healthy diet choices, providing fresh produce at competitive prices. The health and wellness industry is big business, and supermarkets can provide health-conscious customers what they want, while also shaping the purchasing decisions of customers who may be in search of quick, easy and healthy options. Tapping into this trend, the Countdown website contains a Healthy Eating section, which provides a range of information. Countdown has also adopted the government-backed Health Star Ratings system, rating the overall nutrition content and healthiness of packaged foods, across its Own Brand products. Grocery distributor Foodstuffs (which has also signed up to Health Star Ratings labelling) has also undertaken a number of initiatives designed to promote healthy eating choices, including the Food for Thought nutrition in schools program, which has been running since 2007. “Food for Thought is free for schools thanks to the support of Pams and Foodstuffs New Zealand,” Foodstuffs states of the program. Food prices are, of course, subject to seasonal trends, and prices will play a big role in what consumers are inclined to purchase. Statistics New Zealand’s food price index figures for April this year revealed that food prices had increased 0.2 per cent year-on-year, with overall fruit and vegetable prices increasing 3 per cent, of which vegetable prices increased 8.1 per cent and fruit prices fell 3.5 per cent. According to the figures, meat, poultry and fish recorded a price decrease of 1.5 per cent year-on-year, mainly due to lower prices for pork and chicken, with chicken prices decreasing 4.2 per cent, having been falling annually since June 2015. Of course, many factors will determine product prices on the shelf, and savvy, budget-conscious consumers can time their shopping for certain items to coincide with retailers offering discounted prices.